I have alcohol running through my veins!!!! I have a facial Arteriovenous Malformation (AVM) and am receiving ethyl alcohol embolizations with Dr. Wayne Yakes in Denver. So while the alcohol isn't actually running through my veins (that would be really bad) it is being injected into them to destroy the AVM vessels and eventually provide a cure! Check out my website to read my story about life with a facial AVM, meet my doctors, and stay up to date on my treatments through my "Denver Trip" reports! 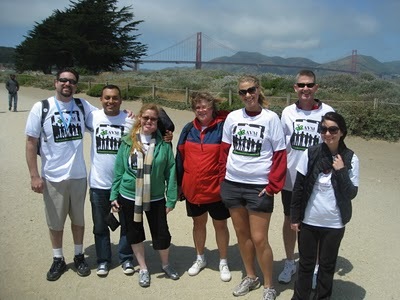 It’s that time of year again for the AVM Awareness walk in San Francisco. This is the sixth year for the walk, and the third time I will be participating. It’s so very awesome that I have the opportunity to be part of this, to help raise awareness, to support my “brainer” AVM friends, and to be an advocate for AVM support. A quick update about me. It’s just over six months since major resection of my AVM. Totally cool scars to prove it, and a much smaller face. I’m GORGEOUS! You can see just how gorgeous here! But to be serious, I feel great. I know that I’m healthier and safer. The daily fear that I lived with for years is barely a thought at all. The pain that would attack…it just doesn’t often. And the scary bleeding episodes that would send me into instant panic are practically just a memory. I can’t explain the relief and sense of wellness this has been. And if that isn’t enough, I officially got an “almost done” on my chart with Dr. Yakes on April 7th. This means that my monthly trips for alcohol embolizations are coming to a close. And while I’m hesitant to claim to be AVM Free…well I’m confident I’m pretty close to it and it’s thrilling. It’s just over three years, and I can see the light at the end of the tunnel. And while my personal AVM journey may be coming to an end, I will always want to be involved, to support, and to advocate for this. The positive impact I have seen my story make is absolutely my biggest and best accomplishment. To know that my struggle, my perseverance, my totally ugly hospital photos, and my conversations with other AVMers has helped people, even just a little…there is no better feeling in the world. This hasn’t been an easy road for so many reasons, but the benefit, the goodness, the love; it’s all so very worth it. So HELP ME OUT! I’ll even give you a hug... for $25.00! We are currently fundraising for both TAAF and AVMSurvivors Network. You can find out all the details by visiting our fundraising site at www.indiegogo.com/avmsurvivors and making a small donation to support me. We have some great “perks” this year to show our appreciation for your support. And one of those perks is a hug from me. You know you want one! But we also have other very cool items to choose from. If no other reason head over to take a look at my super cool fundraising video. I missed my calling as a film maker. It might just be the best video ever. I promise I’m not making it up! And please, help me spread the word. Post a link to the fundraising site on your facebook page or blog. Forward this email to anyone you think may be interested in supporting AVM and Aneurysm awareness, research, and support. There are many people affected by brain injuries each year (including my dad this past September) and everything we can do to help is great. I mean there really is no negative side to it. It really is ALL GOOD. Thanks to everyone for the endless support you have always given me. People ask all the time how I can be so happy, so confident, and so “ok” with all of this. And really the answer is that I have always been loved by friends and family. I’ve been treated like a normal person, made to feel beautiful, allowed to just be me without having to apologize for the way I look. And THAT is 100% the reason that I’m able and want to pass that along to others. My “goodness” in all of this, my drive to help others, and my ability to actually do that comes from all of you and the generosity you have shown me in this life. You are all wonderful and I love having so many special people in my life. 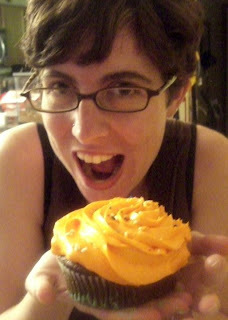 I'm so happy with the "turnout" for my Cupcake party, both far and near. 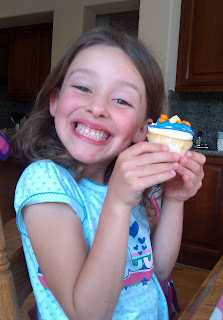 And according to Nicole "Cupcake to the Rescue Day" is actually a new holiday, and her favorite! 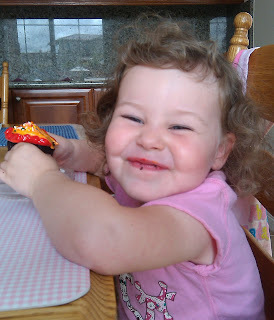 She ate her cupcake for breakfast. I'm totally on board with that. 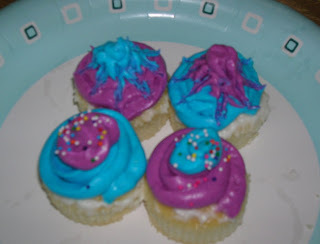 Also, keeping the "spirit" of today going, my blog post announcing the cupcake festivities was featured on the new Ben's Friends blog. Go take a look and book mark that page! 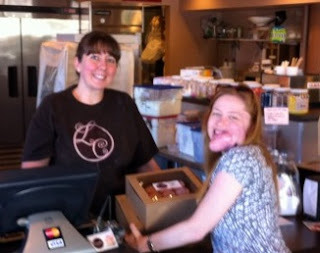 After a very early morning (3:30 wakeup call) flight and arriving in Denver, we made a quick stop for pre-surgery blood work, and then straight to Lovely Confections to pick up my yummies! I was so excited and they looked great! All mini (not as mini as I'd imagined at all) and pink and sparkely! Exactly what I wanted for my Cupcake party. Couldn't leave without getting a close up of the Strawberries & Cream pretties. How great do those look? We had some great friends, both new and old, meet us at the park to hang out, eat cupcakes, and to wish me well. There were four Yakes patients today. Me & Arie as current patients, Steph & Danine as former patients. It was very cool to know all of these ladies and to be able to meet up with them and all of the other wonderful people who support us and for today, support me. 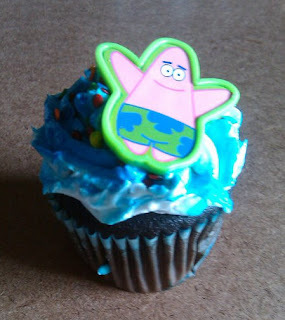 And fine, I admit it, we DID mostly eat the cupcakes before the other more lunch "suitable" foods. But what the heck, this is a party and I get to make up the rules right? So after admiring the pretty cakes and taking lots of pictures of the them proudly displaying "AVM Supermodel" we dug in and enjoyed the taste as much or even more than the look of them! And I've received some great pics of more friends joining in on the celebration. It's totally awesome to see everyone supporting me in such a sugary, spectacular, and heat warming way. Morgan seems to like hers! I think Taylor is excited to eat this one. Beth with the biggest cupcake ever! Lissa redid the frosting on these Sugar Free cakes. AND Lissa is where I got the idea of Cupcake Day. So please thank her for your sugar overload! And to top it all off, our wonderful friend Becky did a special webisode of her online cooking show in my honor and made some great Carrot Cupcakes with Cream Cheese Maple Icing. So very cool. Thank you to everyone for being such wonderful people in my life. Thank you for helping me celebrate this next step in my AVM journey and to keep me feeling positive and happy when I could very easily just be super freaked out today. 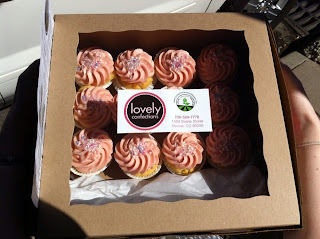 Instead, I had a wonderful time with some great people and I continue to smile each time I hear that someone had a cupcake today and see the pictures of the lovely yummies they enjoyed in my honor. It's very cool and exactly what I needed! Tomorrow will be a little bit sweeter having the happy memories and the positive thoughts from today. I'm getting ready for surgery on Monday. And yep, I'm a big scaredy cat and still super freaked out. So I've devised a plan to make it all better :) That plan is entirely all about cupcakes. Who doesn't love a little sweetness once in a while??? So we arrive in Denver on Sunday morning and I'm throwing myself a "Pre-Supermodel" Cupcake picnic. I've special ordered some from a local cupcake bakery, Lovely Confections, and have arranged for lots of sparkels, glitter, and pretty stuff. 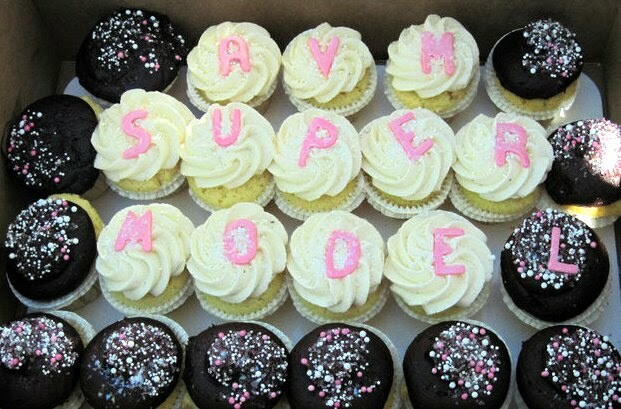 And a few chosen cupcakes will be special enough to spell out "AVM Supermodel!" I've invited all of the wonderful people I have met in Denver and who have helped me on these monthly trips to come eat cupcakes with me! Lots of positive energy, fun, and well wishes I'm sure. And I know it will help me to feel happy and loved the day before this surgery. So be on the lookout for pictures and most likely a movie since it's my new found calling. The end of my AVM Journey is near. We are almost there...the end of the road. This is what I've been working towards for the past three years, or really my entire life as far back as I can remember. And I'm scared. I'm nervous. And I'm oddly almost in "mourning" for this all to end, for the AVM to be gone. Honestly, I can't really wrap my head around any of it. For the past few months, since April really, Dr. Yakes has been wanting me to have surgery to remove the coils in my face. These coils are there because they were used in vessels too high flow and dangerous to safely inject alcohol alone. But they aren't permanent in any way. And they need to come out. My friendly (most of the time) little facial wound, aka "the Warthog" is a direct effect of those coils putting pressure on my cheek and wanting to come out! And we have obliged a little with Yakes literally pulling wires out of my face during two embolizations. Crazyness for sure! For those brave souls who don't get grossed out easily, you can see some pics from the coil removal here. So I've been meeting with docs. ENT's, plastics, blah blah blah. And we have been preparing for the coil removal. MRI's, xrays, consults, and lots of emails later we are ready to move forward with this next phase. I was calling it phase 1.5. But really it IS phase 2 out of probably only 3. We are practically done with the embo's and this surgery will be a huge step towards being AVM free. What I initially understood as simply a "coil removal" surgery has in reality turned into coil removal AND almost a complete excision of the remaining AVM. To say I was a little freaked out would be an understatement. The surgery will be 12+ hours at Porter Hospital just down the street from Swedish. I'm a little bit bummed that I won't be at "MY" hospital but it really wouldn't have been the same anyways. It wouldn't have been my standard 3rd floor pre/post op area or the usual crew. Not even the same procedure room as this will be in an OR, not radiology. So onto a new place, new people, and a new experience. And I'm totally a creature of habit and comfortable in my routine. Josh will be with me, and his Dad will spend a few days with us to support Josh during my surgery. I will be in the hospital for up to 36 hours, spend the rest of the week in Denver recouping and then head home for a week off work. After that, apparently I'll be good to go! Hard to believe as it all seems so destructive. So the plan is to remove the coils, remove most of the AVM that is left outside my jaw which is fairly close to the skin. Remove skin that needs to go due to the superficial AVM branches which really are clearly visible with the naked eye. There will be AVM left "inside" the jaw area which Dr. Yakes will treat with a few more embos a little later down the road. And that's the plan. Simple as can be, right? Best case scenario- which we are all hoping for but I'm being pretty cautious in believing it realistic- will be for complete removal of coils and AVM tissue with no loss to my facial nerve function, skin just pulled and moved around a bit to cover any that is lost, minimal scaring and aesthetically pleasing results in general. No super model by any means, but no where near Frankenstein status. So ya...a tad bit freaked out. And although the "worst case" is probably NOT going to be the reality I am still glad to know what it is. Helps me prepare for what may happen and with luck I'll be pleasantly surprised. The docs are all great, all very knowledgeable, and in general qualified. I say that because there really aren't many qualified AVM surgeons. So not many people have extensive experience if any. These guys DO have experience, although I would love if the number of patients were higher. Dr. Hepworth is the main doc and "in charge" of his team. He will be doing the removal of the coils and most of the actual damage to me. He has been working closely with Dr. Yakes for at least the past year and I personally know at least 2 of his other patients. 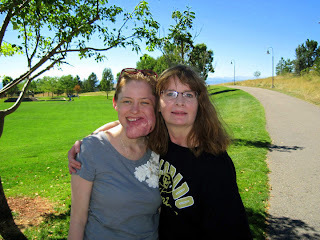 Cyndi has already had a debulking surgery with him and he also put in her trach. She loves him. Dr. Cote is Super Plastics man and has extensive experience with military trauma, was the main consultant to the White House, and has worked on AVM's although admittedly much smaller ones. Dr. Campana is like THE Cancer Recon guy and has won "Best Doc" for many years in Colorado. He has worked on other "disaster trauma" reconstructions. He also will serve in the capacity of micro-vascular surgeon in the event that "rerouting" needs to occur. And I had Dr. Jon (my personal medical consultant!) check out their bio's and give me his opinion. It appears that we have dotted i's and crossed t's. But I'm still nervous and my control freak tendencies are ironically OUT of control. Dr. Hepworth is the unlucky recipient of that energy and has pretty much met my "bully" side...as much as anyone can believe I have one. However we have come to an understanding and now seem to be completely on track with good communication and a clear understanding of expectations from both sides. So there it is. The end of the road is in sight and I know I'll make it to the finish line. I have to constantly resist my desire to just park the car and stop everything right here. But I can't do it as much as I want to. I've come too far and dedicated myself to this journey from that first trip to Denver nearly 3 years ago. This IS what I have been wanting and I have to just keep my chin held high, continue to be my own best advocate, continue to look at the big picture and not just this moment in time, and to really reach for that word "CURE" which is waiting for me across the finish line. I thought taking that initial step into trusting Yakes was tough. I thought it was one of the hardest decisions I have ever made. And it probably was. But right now this one feels harder. Emotionally I just can't exactly figure out how to prepare. I can control small details of this, but really I'm just a passenger for this part of the ride. I have to let things happen knowing that the drivers are great at what they do and that we will get to the other side safely. That trust is so hard for me to freely and somewhat blindly give to someone else. But I trust Yakes completely. I trust his staff. And everyone feels like this is the next step needed and that these new docs are the right ones. So I'm leaping again, with trust and fear equally mixed together. I'm hopefully that when this is behind me I will be able to "see" that it was the right choice and I will be able to look back with a feeling of contentment, look forward with hope, and know that I will confidently recommend the same path for other AVMers that seek my advice and experience. Give me a few months, and I will know all the answers. For the next few weeks just ignore me if I bust in to tears for no apparent reason :) Or better yet, give me a hug cause I like them and they make me feel better! FUN and...Not so Fun stuff! This past weekend was a blast! We went down to SF for the day to make a film for the Life in a Day contest on You Tube. And what would my life in a day be? Well, it would be doing something with the two things I am currently most passionate about! 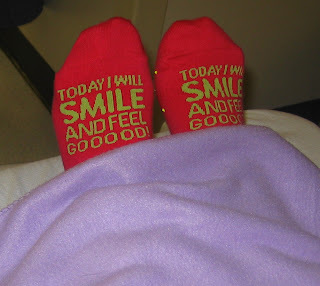 Spreading AVM awareness through promoting Bens Friends Patient Communities, and of course Feel Good Gowns! As you all know I’ve been very involved for the past two years with AVM Survivors Network. And through this I have met some truly wonderful and inspiring people. One of which is Ben who first started this online community after suffering from a Brain bleed due to his AVM. Lucky for him (and all of us) he fully recovered and reached out to help others facing this scary malformation. And with the success of AVMSN Ben, along with his friend Scott, decided to start more communities helping people facing other rare diseases to find support and information and that sense of “community” that is such a relief to patients. And this endeavor has just continued to grow and to do GOOD. More people have jumped on board to help them and I’m lucky to have gotten caught up in it somehow! Currently with 15 patient communities and over 8000 members, Bens Friends is making a difference and looking to double by the end of the year. With so many super smart and super caring people heading this up, I have no doubt that this goal will be reached! The chance to promote Bens Friends through this little video was awesome and allowed me a “date” with two of the cool kids involved. We met up with Eric & Scott at Fort Mason’s Great Meadow. With the GG in the background we each filmed little monologues about why we were there, what Bens Friends was, and our involvement with it. And then it was time for a photo shoot for Feel Good Gowns! I was able to get a super nice photographer, Eliana Baron, to come up to the city and do our shoot for basically free! Thanks to Amber who totally networked and made it happen for us all in two days. You’re a gem my friend :) So Eliana and hubby Mauro met us at the park and couldn’t have been nicer or more excited to be part of the day! With such short time frame I had a hard time rounding up some models as everyone already had plans. Forced to model myself, I was glad to have one of my besties Carrie there with me, and so very thrilled that Scott brought his beautiful friend Vanessa to sacrifice to the cold, the wind, and the very thin cotton gowns! We had such a great time as the “three Model-teers” and I know we got some great shots. And so did everyone else in the park each time a wind came up to make my “no flashing” gowns a little more flashy than we would have liked! Oh well. Even the boys got in on the shoot with Scott, Eric, and Josh modeling some of the scrub caps I had brought. All in all it was a great day! And you can see a preview of the pictures and read a little more about the shoot over at my Feel Good Blog. Surgery is scheduled to remove the coils. August 18th I go back in for an embolization with Yakes. And then on the 19th I have surgery with Dr. Hepworth, Dr. Campagna, and Dr. Cote to remove all of my inner bling. Those platinum coils that are now what you see as the “bulk,” what has caused the warthog, and which are trying to escape on their own are coming out. I still really am going to tell them I want the platinum to melt down into a keepsake bracelet. For reals! I’m thinking I’ll have a little charm made of a warthog to remember him by. I’m super scared, absolutely nervous, but very hopeful. Trying with everything I have to focus on that last part. But it’s hard. We’ve all prepared the best we can and I know the docs are capable, cautious, and without any Superman complex. I feel good about that. But they couldn’t get any of the images they wanted to be able to prepare. They can’t “see” anything in an MRI or any other films because the coils ruin the image. So they are going in somewhat blind. But it’s necessary and they have prepared the best they can. They are confident in what they can do while absolutely aware of what they don’t want to do or don’t want to get involved with. And that’s the best we can go with. That's the scoop! Phase 1.5 is under way. This surgery isn’t meant to be reconstructive or leave me as the Super Model that I’m anticipating ;) It is just to get the junk out and to let Dr. Yakes continue with the embolizations until he feels that he has gotten everything. When he says we are done, then I’ll go back with Hep & Cote to work on more debulking and ultimately the aesthetic part of this entire journey. Wish me luck for next month and keep your fingers crossed that my new docs prove to be just as very awesome as I think they are! Wow, it's been forever since I have updated this blog. Time has flown by this year and I can't believe that it is already half way over. The good thing is that this typically means that things are going well. And they have been! I've still been making my monthly trips to Denver, trying to update my website with pictures at least if not "trip reports." And I've been dedicating most of my "free" time to Feel Good Gowns and everything that goes along with getting my super fabulous little company up, running, and google-able! We also participated in the AVM walk this year in SF and I was lucky enough to meet some new AVMers (including Ben) and also hang out with old friends. Good day all around for sure. So this is where my anxiety comes back full force. I'm totally a control freak and a worry wart. And changing the routine sets me on edge. But add in new doctors and a general "unknown" element for me and I'm a total basket case masquerading as someone completely in control of things. It's tiring to say the least. It could be as early as mid July when I have surgery to remove the coils that have been bulking up my cheek and my chin over the last few years. Granted, the bulk didn't get much bigger per se, just replaced the AVM vessels and high blood flow with metal and scar tissue. And that's all very good! I'd much rather have that "crap" in there than healthy, viable, blood flowing, happily aggressive AVM vessels. I'm super nervous about the surgery. All of the regular fears about how the AVM will react, how well the surgeons will be able to do what they need, & what this will ultimately "do" in the overall picture of eradicating this beast. It's all very unpredictable in certain ways and absolutely scary for me. Surgery has been the one thing all of my docs over the last 25 years have warned me against. Why? Cause it's hard to "get" all of the AVM from a surgery. It's hard in extremity AVM's where the beast has invaded tons of areas and has all of these little feeder vessels and new side shoots and tiny peices. Becomes a tangled mess of stuff that is hard to identify it all as AVM. And when you cut into it, piss it off, and then leave little parts...it tends to retaliate and grow back with a vengence. That's the part I'm most fearful of at the moment. And of course there is the superficial part that I wouldn't be human if I didn't worry about. How will I "look" when this is all done? Supermodel...not quite. Edward Scissorhands or Frankenstien...maybe not exactly. Hopefully the reality will be just a little worse for the wear from how I look today. One of the team is supposed to be a super duper Plastics with tons of experience (not AVM's though!) reconstructing people. Previously a big guy at Walter Reed in DC. Tons of letters behind his name to tell me he is smart. And I like him. He admitted to having a cautious approach which makes me happy. But it boils down to this- I'm just not looking forward to this step, I don't feel confident in what the outcome may be, and I don't really know any of the docs doing the surgery. So I'm stressed out and all doom & gloom. And like so many of my friends and family have told me, this will probably all work out just fine. This is just my regular MO. I freak out until I have "proof" that everyone is competent and that I can trust things to be ok. I come up with all the worst case scenario's and am then blissfully pleased when those don't actually happen. I become Anxious Annie everytime at the beginning and then I'm fine from there on out until something else happens to make me nervous. And honestly that's pretty accurate. I can't deny it. I AM a control freak and super high maintenance when it comes to all of the health stuff. But that's ok. It's also why I'm my best advocate. It's why I have researched so much and gathered the information that has allowed me to help other people on their AVM journeys. It's the reason that I can understand much of what is happening without that pretty medical degree. It's why I've made good decisions thus far and why I should trust myself now. However, at the end of the day I'm still Anxious Annie, I still don't trust other people, and I'm still super freaked out about it. Sign...I'm so high maintenance even to myself :) Gotta love me! MIA for a good reason...promise! I know I have been terrible at updating my blog and my website. But I've got a good excuse! All of my free time (the little that I have) has been used to get FEEL GOOD GOWNS up and running. And I am almost there! Really, just waiting on the last little item, my merchant acct to go live, and then we will be in business!!! But I did actually update my website today...at least the picture pages! You can see all the updates here. And I hope to at least update my trip report with this latest trip, and then catch back up on the Oct-Feb trips. So be on the lookout for an announcement for FEEL GOOD GOWNS soon. I can't wait to share this with everyone! Just your typical girl next door...but with a facial AVM! A slide show of my glamorous creations! 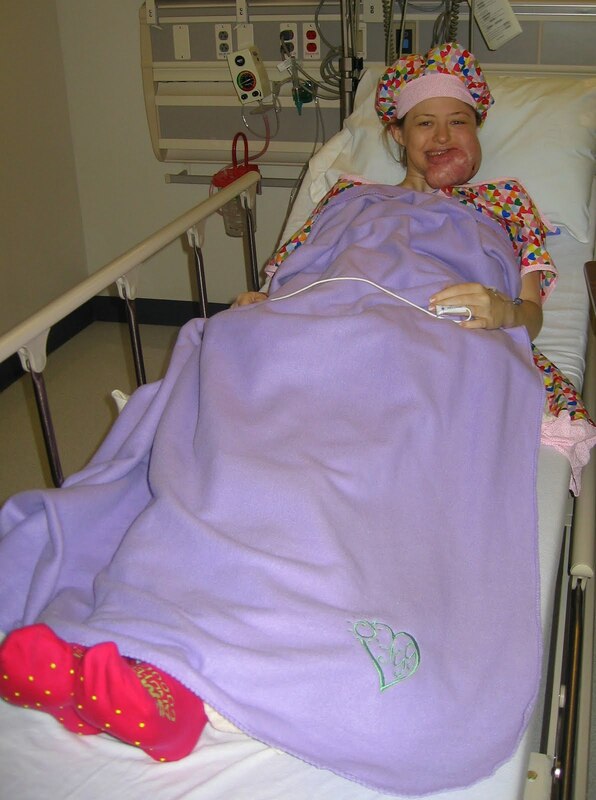 My website- Shalon's AVM story!